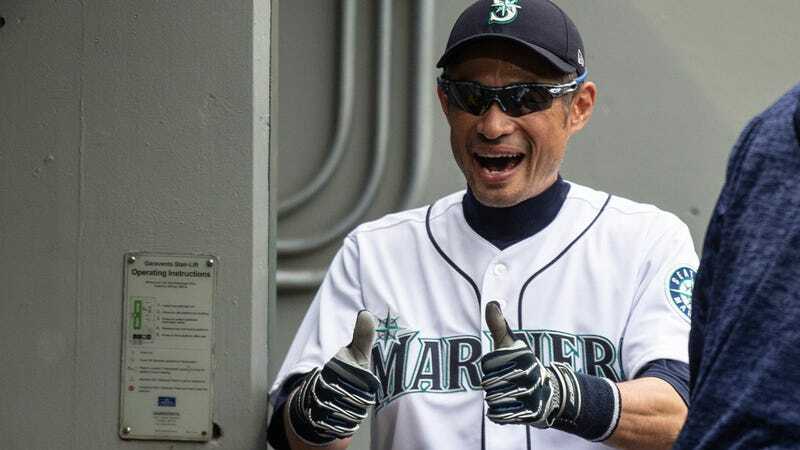 Ichiro retired (or whatever) last week. Appropriately, Peter Gammons has an Ichiro tribute (behind the paywall) at The Athletic today. It’s about how dedicated Ichiro is to the craft of baseball, and opens with an anecdote from Barry Bonds. One morning in spring training, 2017, he was in the coaches’ room looking at his cell phone text messages. Ichiro told the coaches about one message he had just received from a number he didn’t recognize. The guy said he’d gotten Ichiro’s number from Alex Rodriguez, and that he wanted to come meet him and study his stretching system. “What’s the guy’s name?” asked one of the coaches. The point of the story, which comes via Don Mattingly, is that Ichiro is so focused on baseball that he didn’t know one of the most famous pro athletes today. But obviously Ichiro wouldn’t know who Tom Brady is. Unlike Tom Brady, Ichiro can catch.